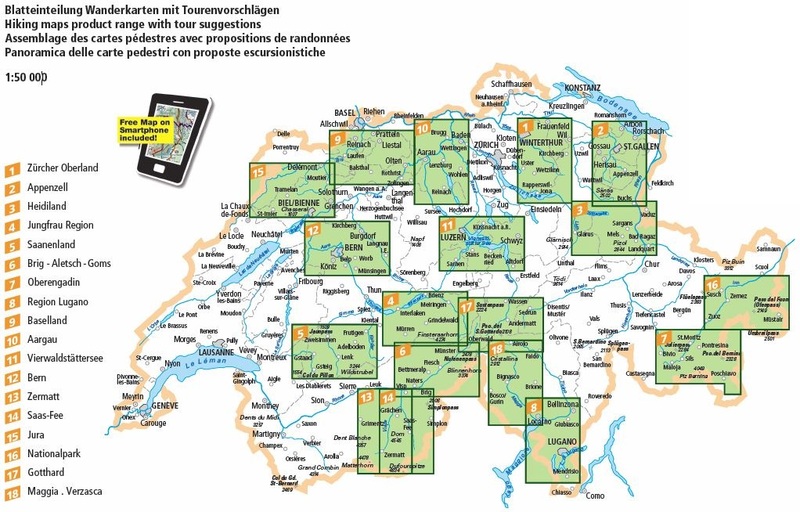 Relief map in plastic of Switzerland in 3D. 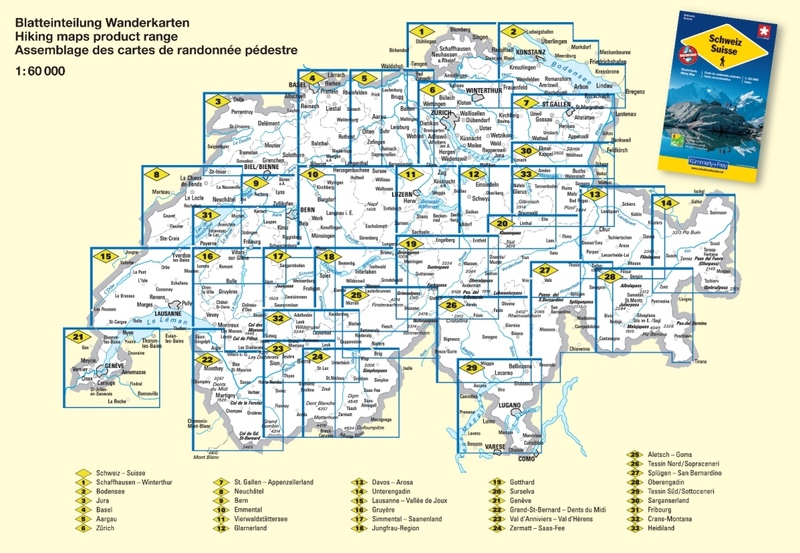 Map at a scale of 1:50 000 with 33 walking tours. Map, guide and pictures – All in One. Hight profiles, walking times, restaurants, public transport and much more! 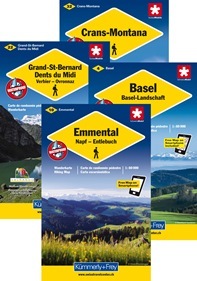 On each paper map you will find a unique access-code to download the digital map for free on your smartphone. Maps with index and regional approach map, water- and rip-proof. 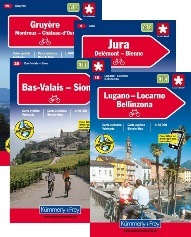 Next to the Swiss excursion maps, Kümmerly+Frey publishes international excursion maps of Germany, Italy, Austria, Croatia, Spain/Portugal and France. 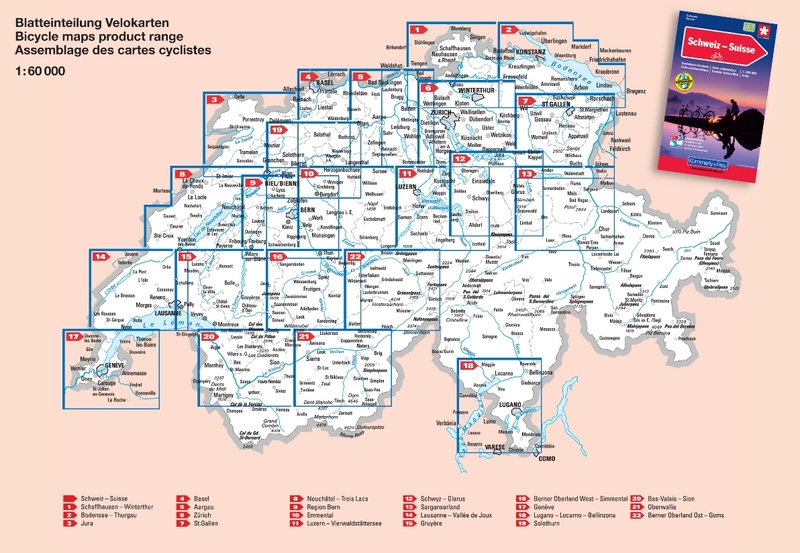 The map always shows for which sports the area is best: walking, cycling, Nordic walking, cross-country skiing, skiing or horse riding. For many leisure time equals time for walking, relaxing and enjoying barbecues. 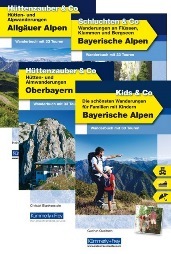 In line with current trends Kümmerly+Frey hiking books feature walks ranging from 2 to 5-hour-long. Thanks to this, families with children and older people can also take advantage of the suggested routes and get walking. 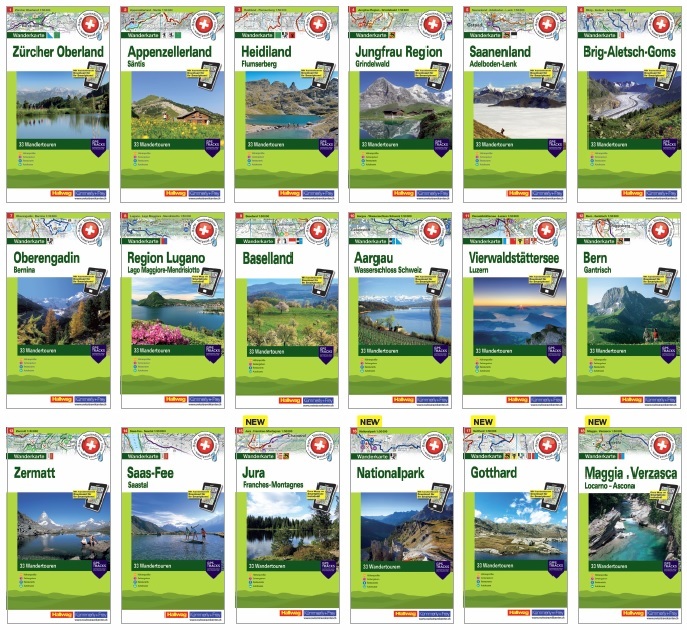 Each book contains between 40 and 50 hiking routes with photographs, a small route map, an altitude profile, markings, a glance at possible weather conditions and the local geology. Completely in full colour. Just get up and go. The Kümmerly+Frey holiday maps help you with your planning. 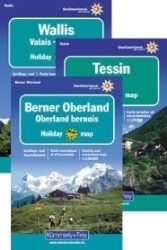 And once you have arrived at your holiday destination they double up as silent tour guides: attractive map image, comprehensive regional coverage (a map for each holiday region), contents featuring interesting tourist information such as important walking paths, mountain huts and tourist attractions.